Pre heat oven to 180c 375f Gas mark 5. Place the margarine, golden caster sugar, golden syrup and orange juice into a large pan and gently heat until all melted. Remove from the heat and stir in the oats, self raising flour, mixed peel and ground cinnamon. Spoon into the 4 trays and press down with the back of the spoon. Bake for around 15 minutes until golden. Leave 5 minutes then turn out to cool. Melt the cooking chocolate in a heat proof bowl over a pan of simmering pre boiled water. Once melted place the flapjacks back into the trays and cover the tops. 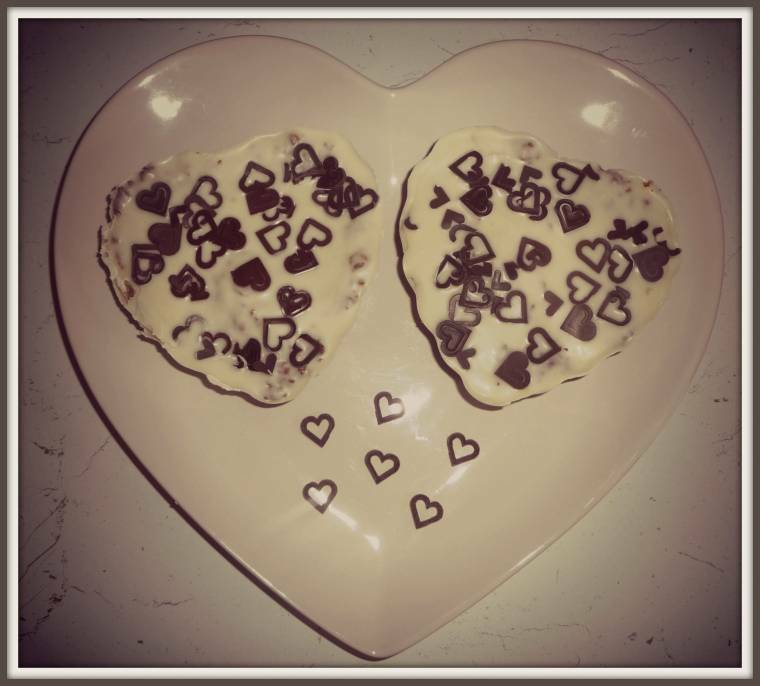 "Happy Pancake Day : Wordless Wednesday Blog Hop…." "Love is in the air…"
I hope your daughter will be fine again real soon Clairejustine. 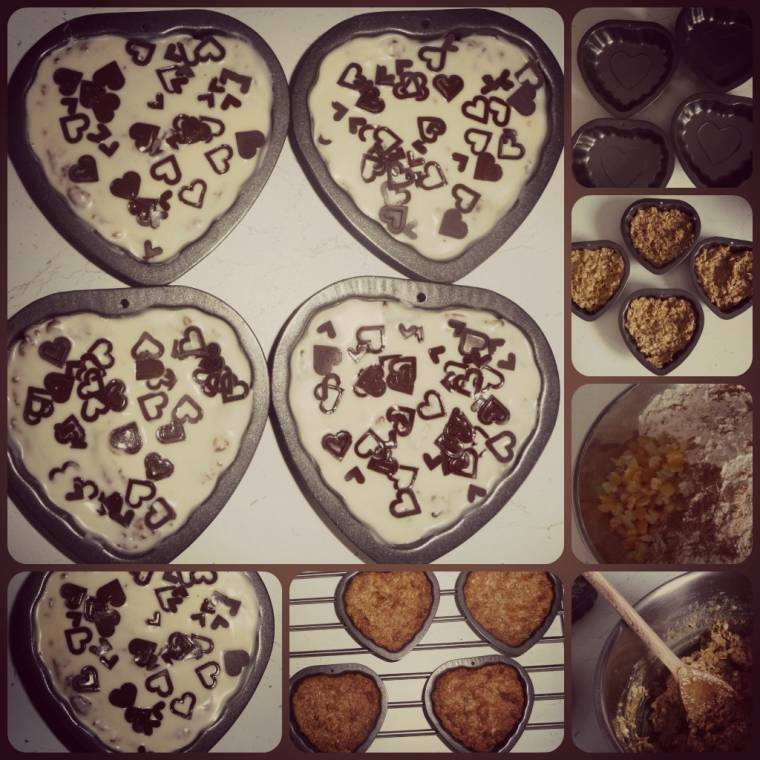 The orange chocolate flapjacks look yummy and perfect for Valentine's Day. Happy Valentine's Day! Baking and cooking with your daughter is a yummy way to show her love and the importance of having fun with our food! Hope you daughter's fine now. The heart-shaped flapjacks look so tempting.